Ice pops are fantastic in the summer, aren’t they. 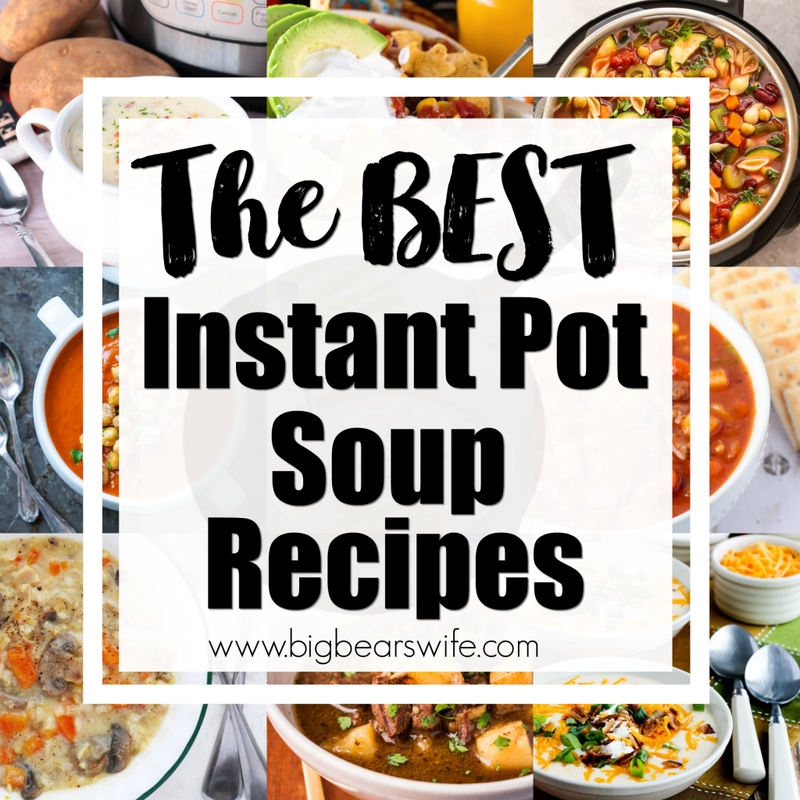 I love having my freezer packed with them and they’re exactly what I need when the temperatures start to hit 95F and above. I love them even more when they’re packed with fresh fruit! You may remember a few weeks ago, I made some Watermelon Pops for #SummerDessertWeek and a year or so ago I made these Strawberry Sweet Tea Pops. 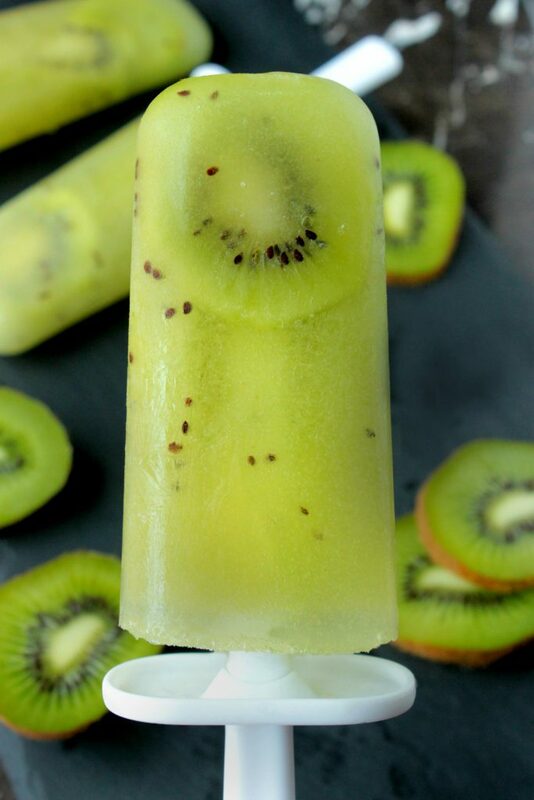 Now I’ve moved onto a new fruit and I’ve got some tasty Kiwi pops for y’all. There is just something so great about having homemade popsicles in the freezer at home! It curves my need to run out to the ice cream shop. Plus, these fruit ice pops are so much better for be than tons of ice cream. 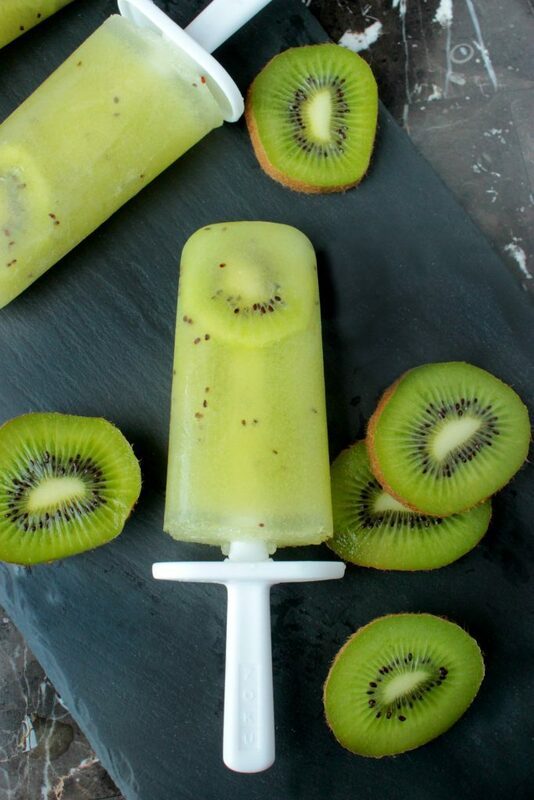 These kiwi ice pops make me feel like I’m sitting on a beach, relaxing by the waves. 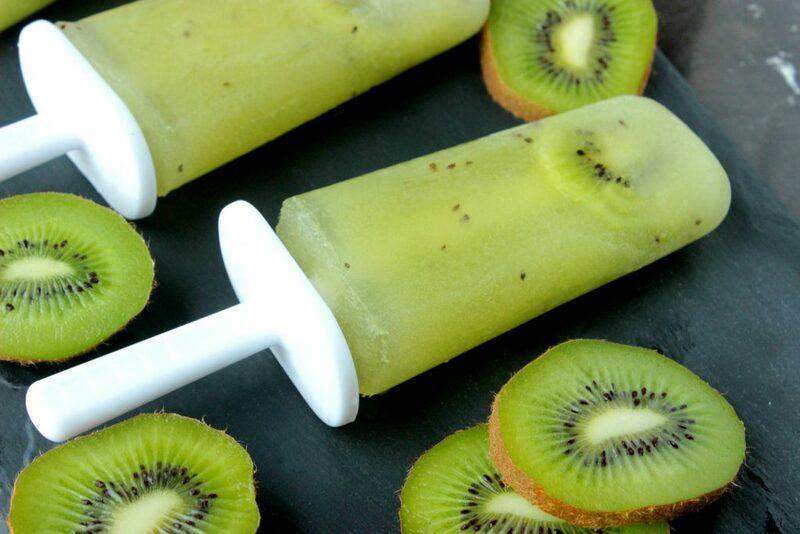 I really love the slices of kiwi in them too! You can add a few more slices if you like too! I mean really, I kinda feel like that with most tropical fruit desserts haha. 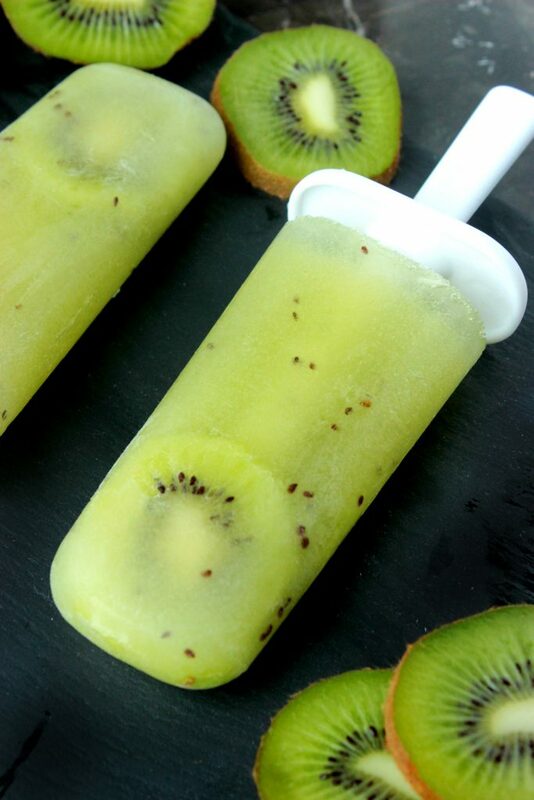 The best thing about these kiwi ice pops is that you don’t have to feel guilty about about them. 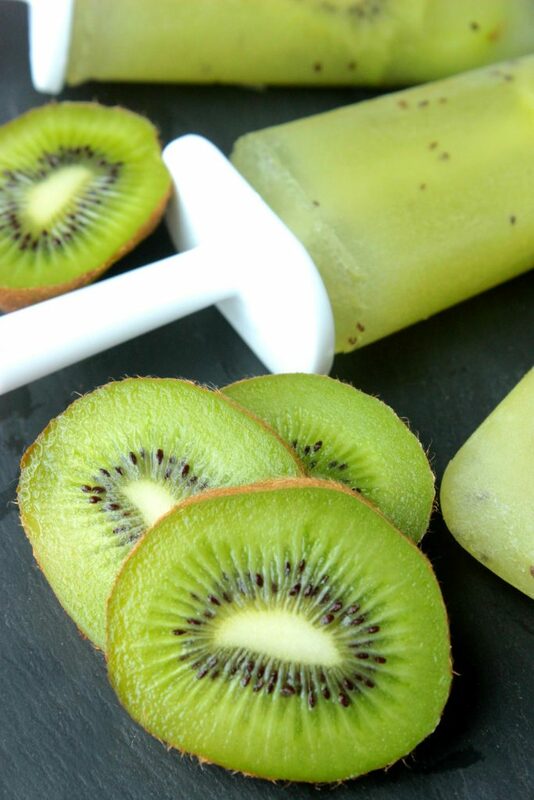 They’re tasty, refreshing and full of fantastic, good for you kiwi fruit! 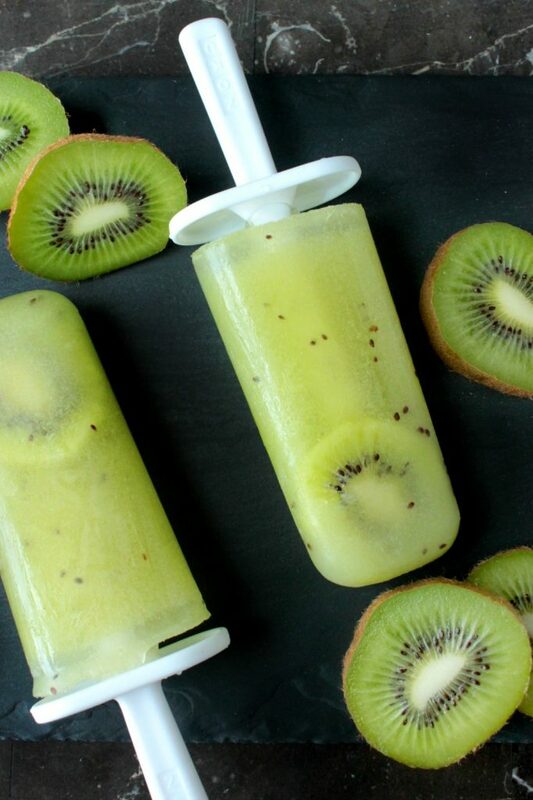 You just need a few simple ingredients, a blender and a popsicle mold to make these! Loved these indeed! The right amount of fruit and coconut made for a wonderful frozen delight. I only got three popsicles though…I wonder if me drinking half of the mixture as a smoothie had something to do with it? 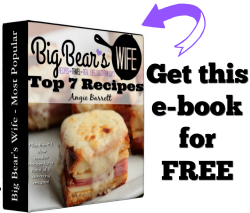 🙂 Make a double batch of these otherwise you’ll be writing a review of a wonderful smoothie. Delicious frozen and just as is! 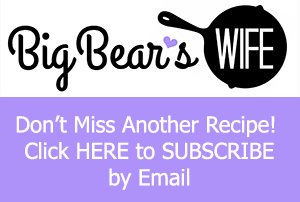 Thank you for this perfectly calculated recipe.